Within days before the year 2016, your loving and caring Cart2Cart Team continue to work hard on extending the boundaries of automated migration. 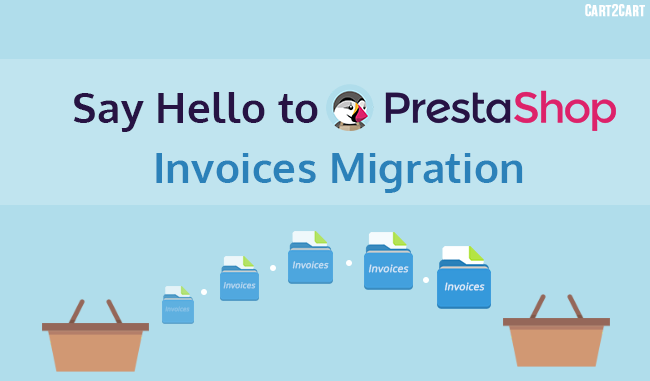 This time, we’re here to please you with a wonderful functional touch up that makes PrestaShop invoices migration a reality! Simply select the corresponding additional option and get your invoice history, items, totals, quantity, date, shipping & billing addresses and other info moved in a blink of an eye! How cool is that? Stop losing your time and opportunities -- get into a new year with a new platform starting with a costless free Demo Migration now!